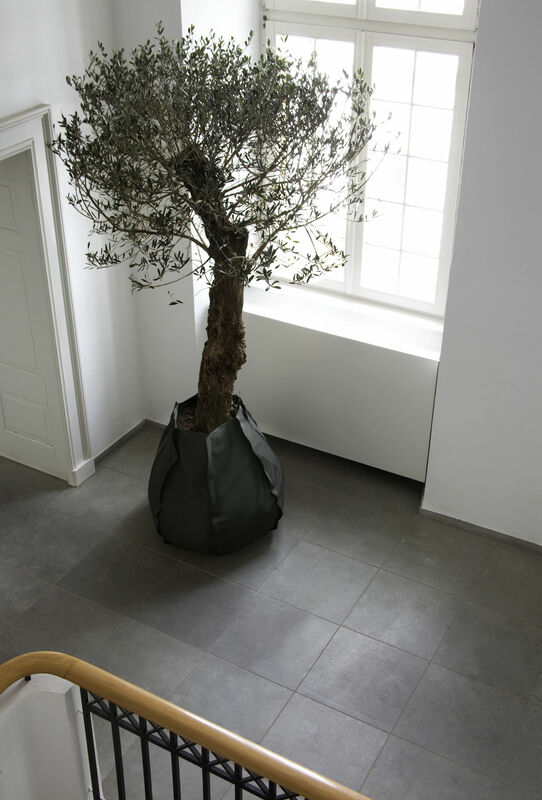 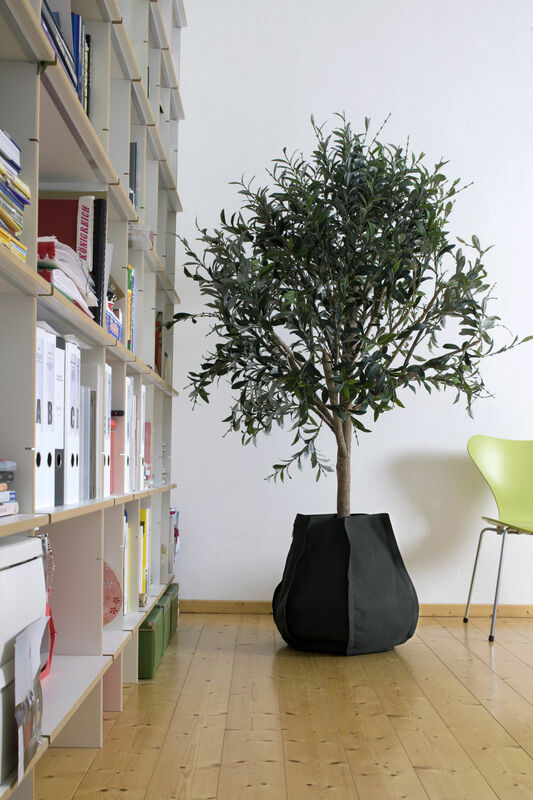 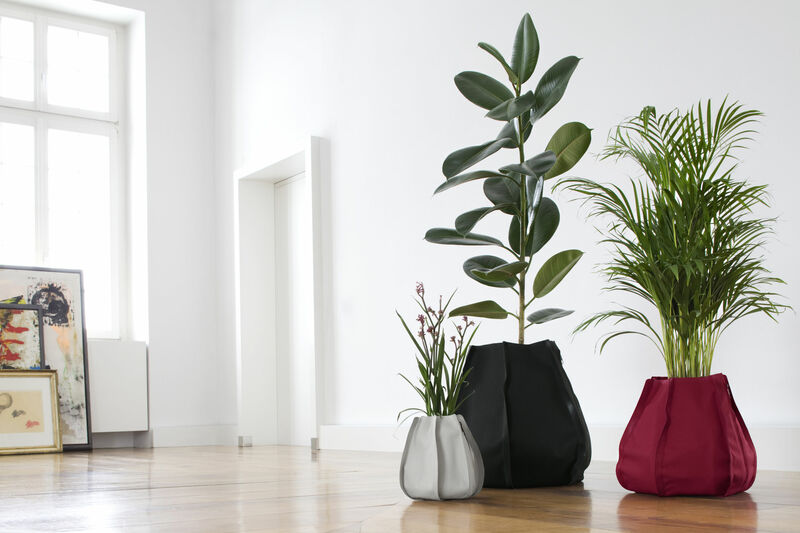 The plant sack made of coated textile fabric appears both casually natural and technologically functional. 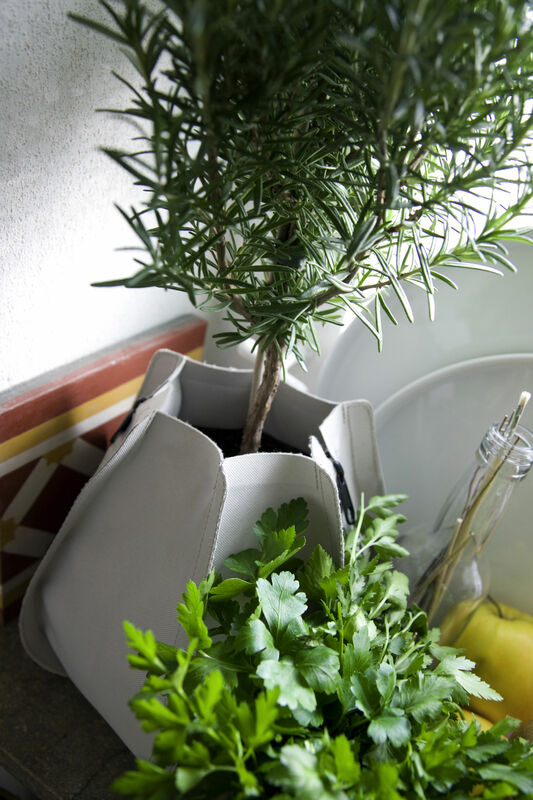 Planted with green plants, flowers or herbs, it can neatly placed on tables, window sills, ledges and in niches without additional saucers. 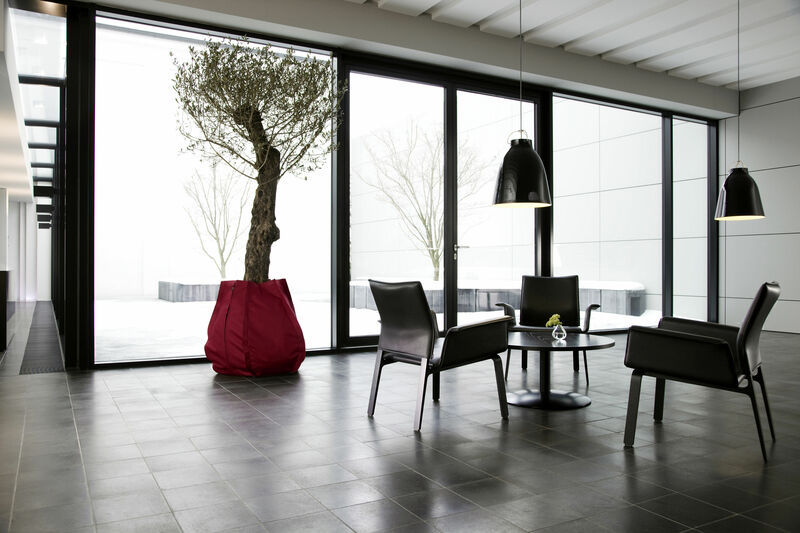 Thus, it converts all surroundings - conservatories or living rooms, kitchens and bathrooms, lobbies and offices, showroom and trade fair booths, into a small garden. 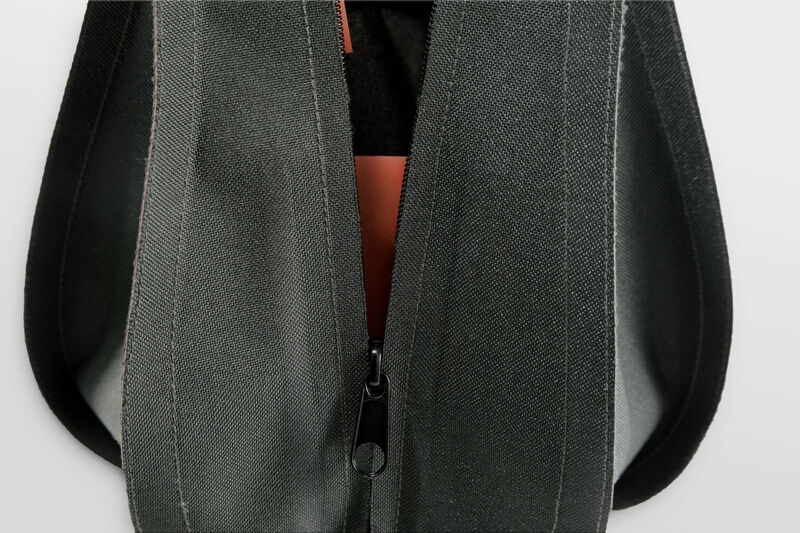 Available in three colours and four sizes. 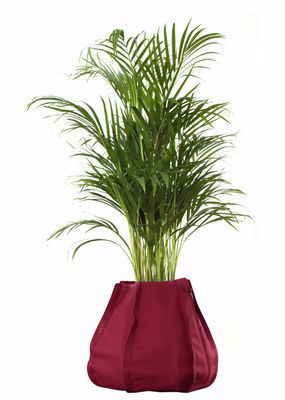 All sizes are supplied including inner sack with drainage felt, expanded clay granulate and a water level indicator. This plant Sack L is a 45-litre-volume, suitable for pot sizes from 24 to 34 cm diameter.